Today, 30 April marks the 9th Birthday of Cuisine Paradise. With that I feel like time really flies fast as I have being working "full-time" on this blog for almost more than 3500 days. I sincerely thanks everyone for supporting my humble blog and social media platforms throughout these years. Overnight oats is a popular and convenience quick meal which you could easily prepared at home using a few simple ingredients and tweaks it accordingly to create different flavours. This healthy treat is actually made with rolled oats (also known as old fashioned oats) that “soaked up” any sort of liquid such as yogurt, milk/non-dairy milk or juice which therefore eliminating the need of cooking. Furthermore beside rolled oats; by adding some chia seeds it also helps to thicken the mixture and at the same time improve health benefits such as fatty acid (Omega 3 and Omega 6), dietary fibre, protein and etc which is essential for our body. Few weeks ago, I received two very kawaii Hello Kitty print toasters from Cornell to do a review plus a giveaway for our readers. The toaster has a very eye-catching red and white design which brings smile to anyone who used it. Furthermore this pop-up toaster also enable you to have a Hello Kitty print on the toasted bread too. So with the long Easter Weekend instead of bunny brunch we decided to have Hello Kitty Brunch whereby I could test out the lovely toaster. After reading a few recommending cafes to visit from food blogs and Instagram photos, GRUB has being on our visiting list for quite sometime. So last Saturday since we do not have any plan except getting our usual weekly grocery. We decide to settle our brunch at GRUB which is located at one end of Bishan Park (510 Ang Mo Kio Ave 1) along Sin Ming Ave which is opposite Block 408. For your information, GRUB don't not accept reservation on weekend so be early before noon to avoid long waiting time. Time flies and Mother's Day will be approaching in less than a month. This year why not let's take some time to remember the wonderful impact that our Mothers have instilled in our lives. I am sure their unconditional love, unrelenting support, and untiring effort to provide for our needs are the very reasons why we would love to celebrate this special day for our beloved Mums. Located within Block 69, Geylang Bahru Food Centre, Chong Pang Chong (忠邦忠) is one of the franchise outlets of Chong Pang Huat (忠邦发). The stall is facing towards the open car-park together as the same row with Hainanese Pork Chop Rice and Western Food. And beside selling BBQ chicken they also provides supply of "cooked or uncooked" chicken and satay for party and event too. 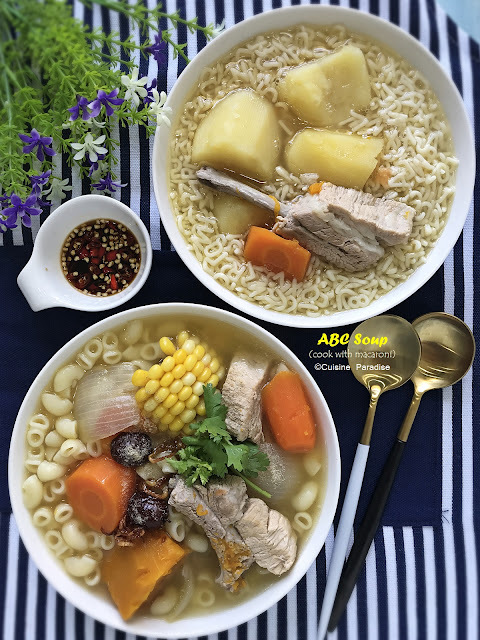 So whenever I visit Kitchen Capers to get some baking items I would usually drop-by during dinner time where we could at the same time indulge ourselves with some of yummy food there such as the BBQ Chicken, Wanton Noodle or Western Food. With the launched of the new "Wholegrain Muffins" you can now swop out to this new choice at no additional costs when you order your favourite McMuffin items for breakfast. 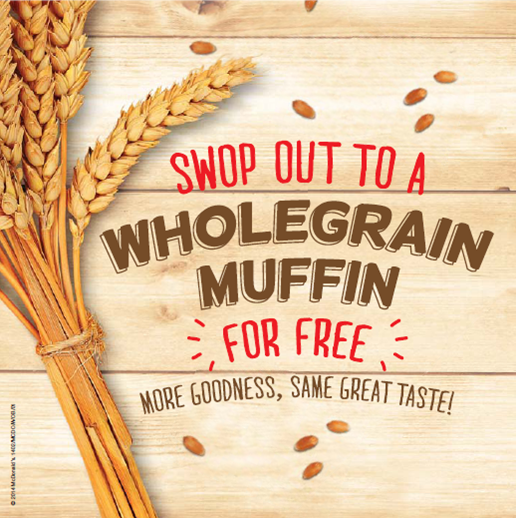 And for your info these wholegrain muffins are each made with eight grams of whole grains, providing about half a recommended serving of whole grains making it convenience for you to include wholegrain in your daily meal intake. Hi peeps! How does cake filled with caramelised banana sounds to you? Good? Today I would be sharing another chiffon cake recipe which inspired by one of my girlfriends through our WhatsApp chat. And with the recipe shared by her friend I decide to give it a twist by using gula melak instead of caster sugar to caramelise the banana for that unique fragrant and taste. To celebrate its third year of bringing the goodness of air-fried food to consumers, Philips has created a fun Philips Airfryer Food Truck that will embark on an island-wide visit from 04th - 16th April 2014 bringing the smells and tastiness of air-fried snacks to Singapore consumers. 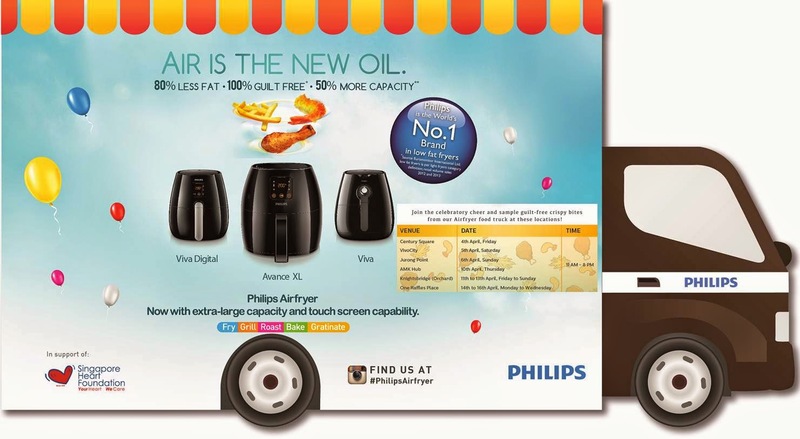 So if you are keen to find out more details about Philips Airfryer and at the same time sample some of the food cooked using the Airfryers which has up to 80 percent less fat when compared to fresh fries prepared in a conventional Philips fryer you can refer to the Food Truck schedule shown below. Last Saturday, together with ShiTing (lobsterpaints.com) and a few fellow bloggers I attended the Bosch Master Gourmet Launch featuring their new MaxxiMUM Kitchen Machine and MaxoMixx Hand Blender held at My Private Chef. Indeed it was a fun event with recipes demonstration session by Chef Stephan Zoisl as well a a hands-on session for participants. The purpose of this launch is to introduce the latest premium kitchen machines from BOSCH which serves as an essential tool for those who cook and bake as an intergral part of their lives. 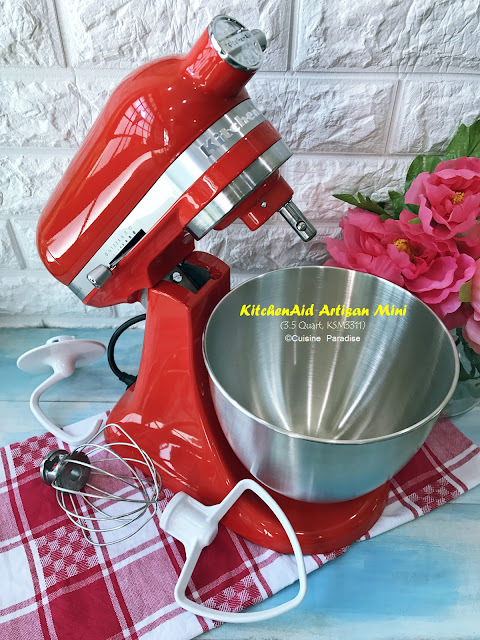 And in this post I would be sharing some details on these new machines as well as the demonstrated recipes shared by Chef Stephan.